Western wear clothing is much beyond what we find in brands such as Zara or Mango. 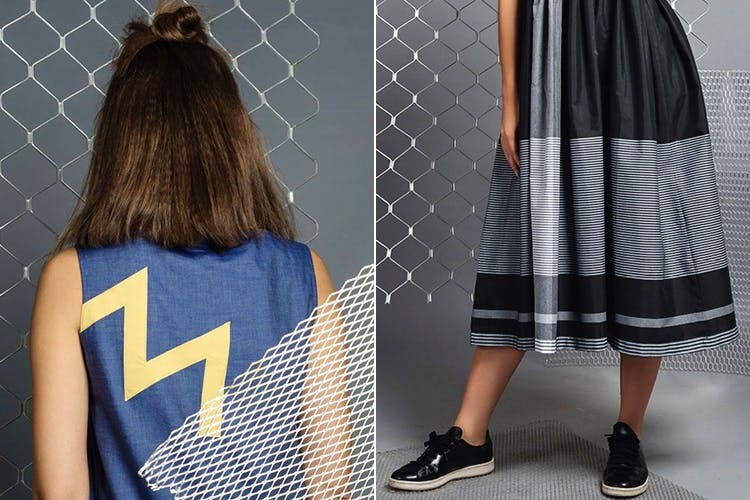 Some private labels based out of Delhi NCR are redefining the conventional definition of western wear, which we feel is limited to tops, skirts, and pants. These upcoming private labels fill a void in our hearts for chic contemporary wear that isn’t heavy on the pocket. Meaning ‘pure cotton’ in Hindi, Khara Kapas sings to the Bohemian girl in us. Each product is hand stitched in a way to create soft, free flowing silhouettes. They source fabric from the most remote villages in India and showcase their craft through creativity and design. This brand is for the bohemian spirit, irrespective of age, size, gender and religion. Think that name is intriguing? Their clothes are equally intriguing. Celebrating Indian textiles and handlooms, Poochki does everything from dresses, culottes, maxis, and comfy crop tops. With fun colour combinations and trendy prints, they bring a lot of quirk to your wardrobe. A NIFT alumni, Preeti started her label in 2011, with a simple vision of designing clothes for the free-spirited young woman. Made using the finest quality fabrics, her designs are heavily influenced by fashion forecasts. Even the silhouettes, cuts, drapes, and colours are chosen in accordance with what works for the season. An out of the box concept, OLIO intends to makes apparel that are not seasonal, but are weaved around stories. Their contemporary pieces are designed in such a manner that they can be worn during daytime as well as for a fancier night out. The focus is uniting the fun in clothing with functionality. A brand for the modern woman, Lovebirds play with cuts, drapes, and styles. They believe in a minimalistic sense of style. Winner of Vogue Next Talents 2016, their designs make for comfortable, stylish clothing. Their clothing is an amalgamation of current trends with comfort and flow. Looking for statement making office wear? Lovebirds it is.